1 fl oz. 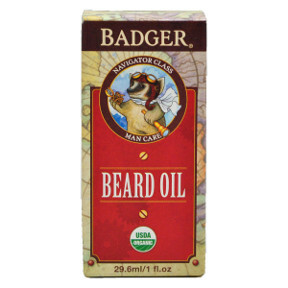 glass bottle of beard oil. Good Grooming for Adventurous Gents. USDA Organic. No Animal Testing.